Proposals to transform education in the west of Northumberland ‘won’t solve all of the problems, but now there is a plan’. And councillors also heard that there is real optimism about the future of Haydon Bridge High School, despite the cloud which has been hanging over it in recent years. Last week, it was revealed that following an informal consultation on a major shake-up of schools in the Hexham and Haydon Bridge areas, just one – Bellingham Middle School – is now likely to close with the first schools in the Haydon Bridge Partnership set to become primaries from September 2019. Northumberland County Council is to step in to save Haydon Bridge High School following the withdrawal of the Bright Tribe Trust as academy sponsor, with a rescue package of £1.54million to support it for at least three years. There are no proposed changes in the Hexham Partnership, meaning the council did not support Hadrian Learning Trust’s bid to create an 11-to-18 school at Queen Elizabeth High School due to the knock-on effects on the wider education system. 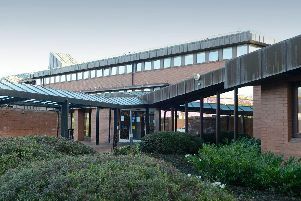 These proposals were discussed at today’s (Thursday, May 3) meeting of the authority’s family and children’s services scrutiny committee, where Alan Hodgson, a co-opted member who is not a councillor, raised concerns about the number of pupils needed at the two high schools in order to make them both viable. “You might be solving one problem, addressing parental choice, but you are actually creating another,” he said, adding that the ‘mixed economy’ of a two-tier system in Haydon Bridge and three-tier in Hexham would cause issues too. Andy Johnson, the council’s departing director of education who is leading on this project, responded: “Is it sustainable to have two secondary schools in the west of Northumberland? It is, if they work together in partnership. “There were problems before the consultation and there are problems now, but the difference is we have a plan now. Before I think there were 32 different plans (from all of the schools involved) and now I’m asking them all to work together. Later in the meeting, Coun Colin Horncastle, a former Haydon Bridge pupil who represents South Tynedale, said: “There are real plans behind the scenes to make that school work and I’m really confident that it can work. “Parents are crying out for a school offering something different to Hexham. They are wanting a different choice for their children. The proposals will now go before Tuesday’s (May 3) cabinet meeting, although there will be no final decision as school closures and changes to age ranges require a statutory consultation. The matter would be back before cabinet to be signed off on July 10. Mr Johnson added: “99.9 per cent of the people I have spoken to have had the education of the children at the heart of their very strong feelings. “Our job as a local authority is to provide system leadership and we have always felt that if we don’t do it, no one else will.